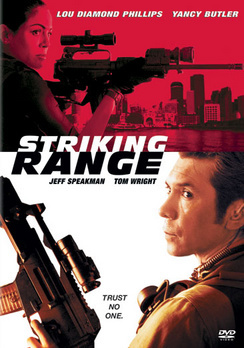 Striking Range is entertaining and action-filled. 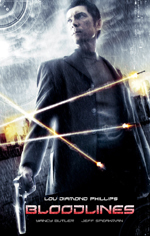 "Vash" (Phillips) is a mercenary who is asked to guard Ted Billings (Morshower) because he has a hi-tech WMD. "Vash" doesn't like the guy, but then he gets his money's worth because criminals from all sides are after him. What's interesting about this movie is that it takes the time to flesh out some character development. Phillips is very good in the role. Yancy Butler plays his ex-girlfriend. She gets her time to shine. 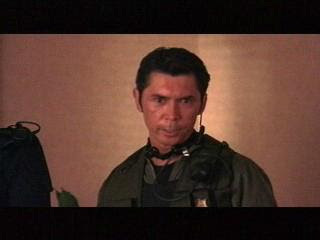 Jeff Speakman plays one of the villains and gets to utilize his martial arts ability. Speakman is a big guy and he moves fast. The whole movie is one big action sequence. The beginning is little lame, but once that gets out of the way, It's B-movie fun till the end. In the end: If you like LDP, you'll enjoy this. I wasn't disappointed by Striking Range and it delivered the goods.